Client: Occidental Petroleum of Qatar Ltd. Scope of work includes Onshore fabrication, load-out and sea-fastening of 7 nos. Minimum Facility Platforms (MFPs) including but not limited to engineering (fabrication, temporary works, etc. 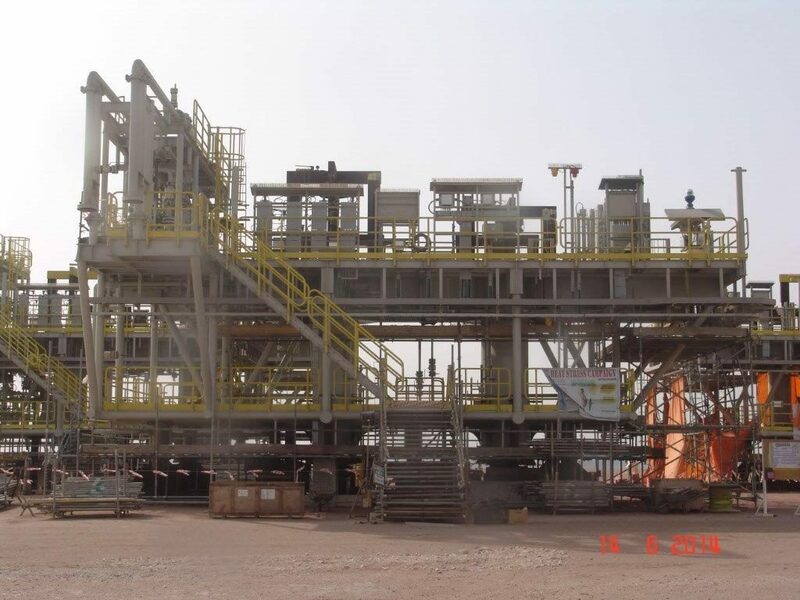 ), fabrication of topsides and templates, weighing of topsides, pre-commissioning, load-out, Lifting by Floating Installation Barge and sea-fastening of the MFPs.